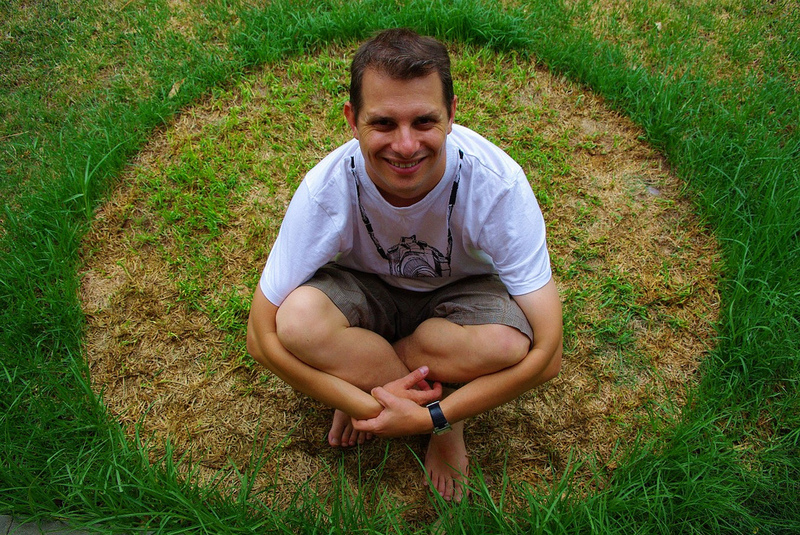 A student or investigator of crop circles. I've never met a cereologist, and somehow I don't feel my life is any emptier because of it. Considering that numerous serial cereal surrealist pranksters have not only come forward to say "Guys! It was us!" but clearly demonstrated how crop circles are made, aren't cereologists simply puzzling over a puzzle that's already been solved? Are they not working on a boondoggle of a blivit of a crossword that's already had all the answers pencilled in? Of course, no, and some are always going to believe that crop circles are not simply the work of unemployed plank-wielding plonkers, but rather the handiwork of aliens, spirits, plasma-infused weather anomalies or the collective will of humanity coalescing gestalt-style into one awesome, unstoppable force with the sole purpose of flattening some poor farmer's crops (especially if said belief continues to sell books, guided tours, and - oh the cynicism! - spiritual healing retreats). So, if there are any cereologists out there, do feel free to comment. I really would like to know why, if this is the work of aliens, leprechauns, or some other higher intelligence, they couldn't make their messages just a teeny bit less ambiguous, especially if they're communicating really important stuff like the dangers of global warming, nuclear warfare or reality TV. Also, as you are cereologists, do you not think your time would be better spent solving real cereal-based conundrums? For example: why is the second bowl of muesli always crunchier than the first? Seriously, I want to know. Get on it, guys. ... or just your kids' paddling pool. 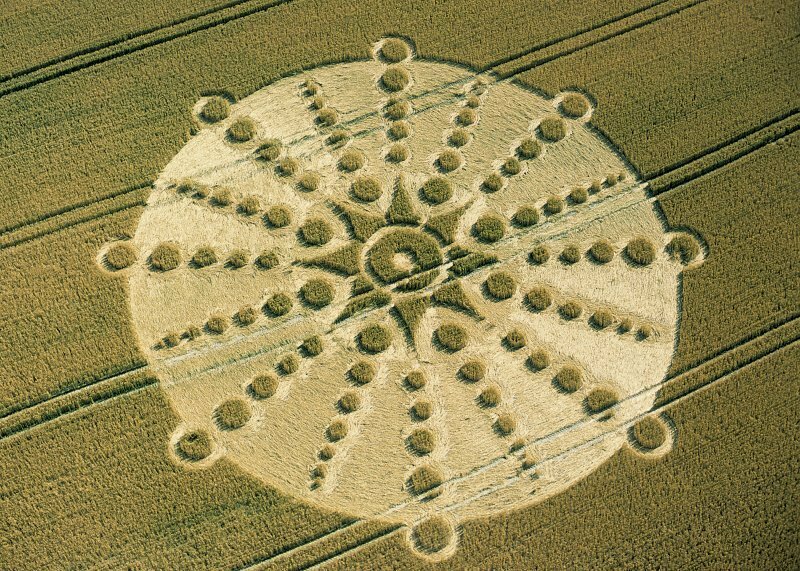 Are you an alien, spirit, prankster or intelligent weather anomaly that makes crops circles? Do amaize us with your corniest comments by leaving them in the disappointingly rectangular box below. Aliens are communicating with your dogs. I'm disappointed that that's the word for it. Shouldn't it be rotundocereologist or orbocereologist at least? I've been informed that the proper term (the politically correct term, perhaps) is "crop formations" as they're not always circular. I thought a cereologist was someone who specialised in cereology - the study and classification of breakfast cereals. "And here we have a lesser spotted frostie, easily distinguished from its cousin, the common or garden corn flake, by its shiny, crystallised coating..."
Leading up to this post, I asked a number of people what they thought a cereologist might be, and unsurprisingly someone that studies breakfast cereals was suggested several times. My favourite suggestion was: "A specialist in solving crimes where breakfast cereals are somehow involved." That would be very, very, very specialist indeed.